You ask a room full of people if anyone has an Android charger you could borrow… and everyone stares at you in silence like you’re an idiot. I know, I know, it can feel like everything is geared toward iPhone users these days. So I think you deserve to have French learning resources designed specifically for you, an Android user. You’ve been in the iPhone’s shadow long enough. So here’s a list of the 10 best French news apps for Android. Now you get to learn French through one of the most exciting media out there: the news! Why Bother Downloading French News Apps? You’ll learn important vocabulary for culture and daily life. The words you learn through news resources are different from ones you’d study in a classroom or expressions you’d pick up through watching French movies or reading French literature. You’ll pick up words commonly found in news stories that describe our world and culture, from politique (politics) and l’économie (economy), to l’immobilier (real estate), to mode (fashion). And that’s just the tip of the iceberg! You’ll have daily, bite-sized reading practice. If you download apps that give you French news articles to read, you’ll have a fresh source of French reading material every day, right at your fingertips. This is a great way to spice things up if you’re getting burned out on that classic French novel you’ve been working your way through for weeks. You’ll improve your French listening skills. While some apps give you articles to read, other apps allow you to watch or listen to the news. First of all, this will help you grow accustomed to the native accents of France or other countries. Second, you’ll develop your ability to understand people speaking at a relatively fast speed. Third, even though reporters speak quickly, they usually enunciate clearly, making French news apps great resources for improving your listening skills. You’ll naturally pick up French grammar rules. You’ll encounter numerous French verb tenses in the contained context of a news article or clip. Yes, you’ll see plenty of verbs in le conditionnel (conditional), le subjonctif (subjunctive) and le participe présent (present participle) tenses. But perhaps the most valuable skill will be learning to differentiate between l’imparfait (imperfect tense) and le passé composé (compound past) when speaking about the past. You’ll always have access to the news. Scanning a French newspaper or turning on the TV to the news is fun. But when you download French news apps for Android, you can access French news anytime, anywhere. Whenever you’re in the mood! Want to watch real French news, but worried you won’t understand every word? FluentU is the perfect solution. This unique app transforms authentic French news (among many other types of videos) into personalized language lessons. To learn French with news, click on “videos.” Under the “formats” tab, click “news.” Bam! You’ll see more than 150 news broadcasts that match your level of French. Watch real news broadcasts about everything from the French trend of eating organic, to the test to become a naturalized citizen of France, to J.K. Rowling’s writing and publishing process. But as we’ve hinted, FluentU is more than just a video player. There are interactive subtitles to teach you new vocabulary while you watch. Click any unfamiliar word, and the video will automatically pause to show you an in-context definition, memorable picture and examples. You can also toggle professionally translated English captions on or off. Once you’re done watching, there are flashcards and fun quizzes to make sure you remember what you’ve learned. There are also vocabulary lists and full transcripts built into every video. Best of all, FluentU keeps track of what you’ve learned and suggests new videos for you based on that information. If you decide watching videos is your new favorite way to learn French, you can watch more than just news. With FluentU, you can check out music videos, commercials, short films and more. Try a FluentU trial to explore the full video library and all the learning features for free. 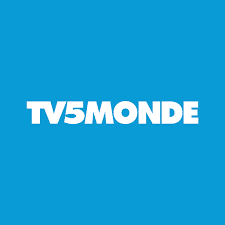 TV5MONDE is a respected French language global TV network. 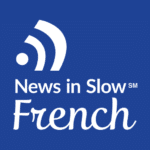 Download this French news Android app to watch the news and hear native French accents. This is another app that’s great if you prefer to learn about the news through videos. Sometimes I need to watch people’s mouths move when I’m listening to French expressions or terminology that’s particularly challenging, and videos are a godsend for this. 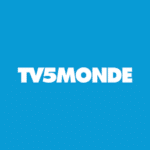 A great show for language learners on TV5MONDE is “Destination Francophonie” (“Francophone [Countries] Destination”), which covers French-speaking regions of the world and international French language learning initiatives. If you want to expand your news intake beyond just France and Europe, check out “Afrique Presse” (“Africa Press”), where professionals talk about current events around Africa. Topics range from countries’ professional rugby teams, to the continent’s tourism, to the troubling state of Burundi’s and Lesotho’s economies. Or maybe you’re more interested in what’s going on in Ontario and Quebec. (Canada does tend to have cheerier news topics than the rest of the world, after all!) Tune into Radio Canada to hear what people have to say about the legalization of marijuana and their super hunky Prime Minister, Justin Trudeau. And those news sources are just the beginning of what you’ll find on TV5MONDE! The France News app is a resource that collects news from various French newspapers. The company boasts that this app is extremely simple to use. Just open the app, choose which news source you want to learn with for the day and get reading! This app is perfect for language learners who don’t want any extra, unnecessary features. If your ultimate goals are following French news and improving your reading skills, then this app can meet your standards. When it comes to learning a language, sometimes simple is better! Follow French news with newspapers such as Le Figaro to keep up with politics, Eurosport to follow les matchs de football (soccer games) and ZDNet to stay up to date with the latest technology updates. 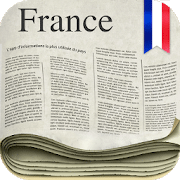 French Newspapers is another great Android app for people who want to improve their French reading skills. This app collects all the top newspapers and magazines printed in the French language and stores them in one place. You may be wondering how the French Newspapers app differs from the France News app. Well, the material is broken down into six categories: general, regional, economics and politics, sports, celebrities and fashion. This means you can read La Dépêche du Midi (The Noon Dispatch) to find out what’s going on in Toulouse. Then you can hop on over to L’Est Républicain (The East Republican) to find out what journalists in Nancy have to say. You can read about economics in La Tribune (The Tribune). When that inevitably gets too heavy, read about the latest dress styles in Vogue or about soccer matches around the world in MAXIFOOT. If you’re trying to decide between downloading France News and French Newspapers, just remember… France News has a much simpler user experience, while French Newspapers has a wider range of news topics. Or you can just download them both! 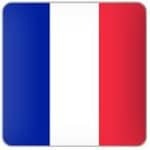 French Newspapers and France News are fantastic resources if you want to keep up with all types of news. 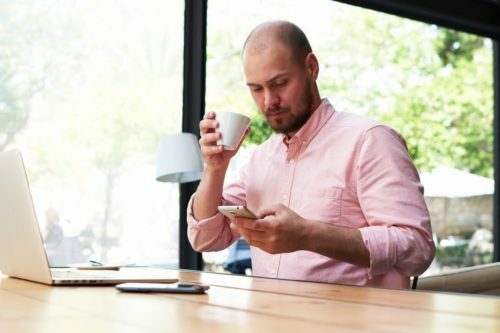 If you just want to stick with one type, though, or prefer journalism with a particular slant, one of the specific newspaper apps on this list may be more to your liking. France 24 is a media company owned by the French government. 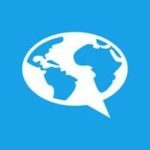 This app is great for language learners who want to follow a wide range of news stories, because France 24 covers both French and international news. If you want a variety of media, this could be the app for you! You can read articles in French, or you may choose to watch interviews and broadcasts. This way, you’ll receive a well-rounded experience and improve both your listening and reading skills. 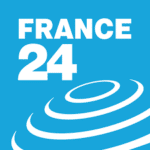 France 24 also makes it easy for you to share your favorite content on social media. This feature is super convenient if you like to update your Twitter with all your favorite links or if you’re part of a French learning Facebook group where people share resources. The main downside of France 24? A lot of users complain that there are too many ads. But that’s often the trade-off for a free app. And who doesn’t love free things? 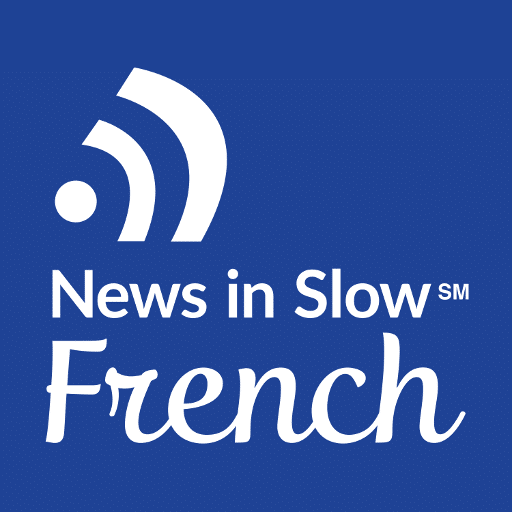 News in Slow French was created specifically for French language learners. While students at all levels can benefit from this Android app, it’s especially useful for beginners who need to hear things slowly and in simple terms. This app primarily provides audio for learning the news. But you can also use it to create flashcards so you can keep up with all the new vocabulary you’re picking up from the audio clips. Want to practice your French pronunciation? After listening to a sentence, pause the audio and practice repeating the phrase you just heard out loud. See how similar you can make your accent to the reporter’s in the audio clip! And News in Slow French covers more than just the news. It also has sections where you can review French grammar and expressions. This is fantastic for readers who want a little more guidance in using the news to learn the language. This app’s ultimate goal is to help you learn French. The creators just happen to think that keeping up with the news is the best way to do so! 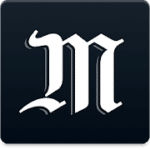 Le Monde (The World) is a popular, daily left-wing newspaper published in France. It’s extremely well-respected, so if you want high-quality journalism, this is a must-have app. By downloading this app, you can receive notifications about news stories before they even hit the print newspaper. Instant access to high-quality reporting about important world issues? It doesn’t get any better than that! My favorite feature of the Le Monde app is that you can “react” to articles the same way you would react to Facebook statuses. Let the app know if you really enjoyed an article or if you don’t want notifications about a certain topic anymore. For instance, I’d love updates about the Tour de France. But I’d give a thumbs down to any content about Brexit or Donald Trump… I get enough of that from English-language papers! Some reviewers also complain that Le Monde forces too many ads on you. That can be a make-or-break issue for some users, but if ads don’t bother you too much, this is a fantastic app otherwise. You may have already heard of VOA, a U.S.-based radio news broadcaster. 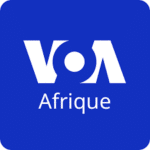 VOA AFRIQUE (VOA AFRICA) offers French-language coverage. The stories focus primarily on Africa, but there’s also coverage about international news. This is a great app for people who are interested in African culture. Even if you aren’t passionate about Africa, this is still a nice app to have if you want something a little different from the rest of the apps on this list, which place a heavy emphasis on news from France. 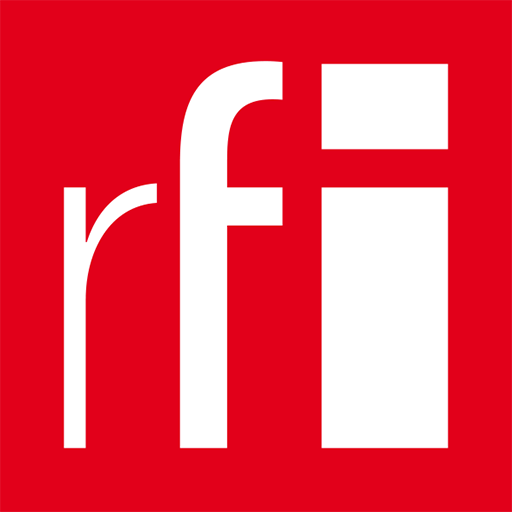 RFI stands for Radio France Internationale (Radio France International), which is a French public radio service. It covers international, French and African news stories, so you can stay up-to-date on news from multiple countries. While this is a great app for you to improve your French listening skills, RFI also contains articles you can read. You can access live news broadcasts or go back and hear or read stories you missed. You can even download audio files and articles so you can learn when you don’t have internet access! The RFI app does a great job of personalizing your experience. Customize your RFI homepage with all your favorite stories and news topics. While RFI is a useful resource for French language learners of all levels, it’s especially great for beginners who need a little assistance. The app is available in multiple languages, and it’s very easy to switch back and forth between English and French. If you want to double-check your understanding of French content, just click the “English” button. Then switch back to continue in French! Here’s a fun exercise for learning with RFI: Listen to or read a story in French and write out the English translation. Then check the English version of the story on the app. See how closely your translation matches the real English text! 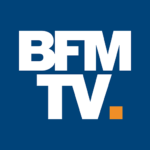 BFMTV is a 24-hour news channel in France that leans slightly to the right. (Yes, they’re right-wing, but not Fox News-level right-wing.) It’s one of France’s most-watched news networks, so by tuning in, you’ll definitely be immersing yourself in French culture! BFMTV reports 24 hours per day, seven days per week. And the app is no exception! This means you can watch videos or listen to audio reporting any time of day. You can squeeze in your French news for the day while jogging on the treadmill or sitting in traffic on your way home from work. You can also read the latest articles with this app. That makes BFMTV perfect for French language learners who like taking in their news by watching videos, listening to audio or reading. One app for almost any learning style! As the owner of an Android device, you may have felt shunned in the past. But who knew there was such a wide range of apps created solely for the purpose of accessing French-language news on your Android phone? So what’re you waiting for? Download your favorite French news Android apps on this list and spread the news to your fellow Android users!